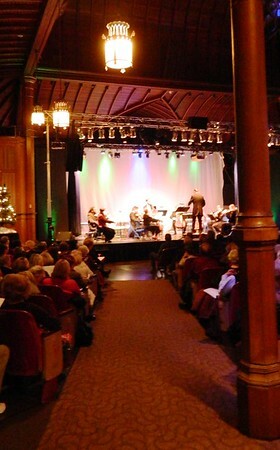 NEW BRITAIN - Poles and non-Poles alike packed Trinity-on-Main Sunday night for a very special Christmas concert. 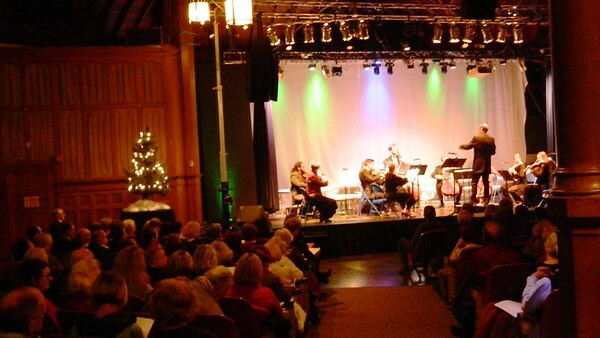 This was the first year the concert has been held at the downtown entertainment venue. 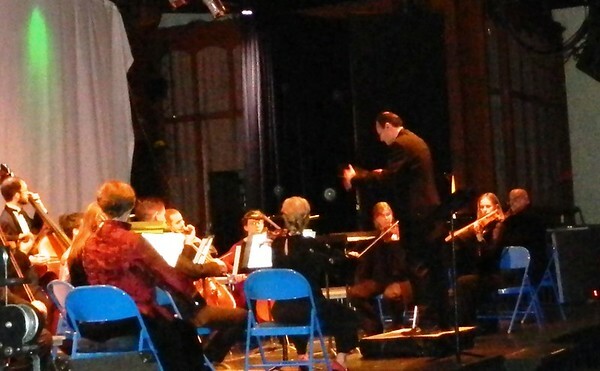 It usually takes place in CCSU’s Welte Hall Auditorium, which was unavailable this year. Virtuosi founder and Artistic Director Adrian Sylveen was pleased with the accommodations at Trinity-on-Main as he prepared for the concert backstage. After a brief intermission, the Moniuszko Choir, also established by Sylveen, took the stage to perform more than a dozen Polish Christmas carols. Choir member Anna Miroslaw enjoyed performing songs she knew as innately as the holiday itself. Miroslaw moved to Connecticut from Poland 25 years ago. She lives in Glastonbury and has been singing with the choir about a year. 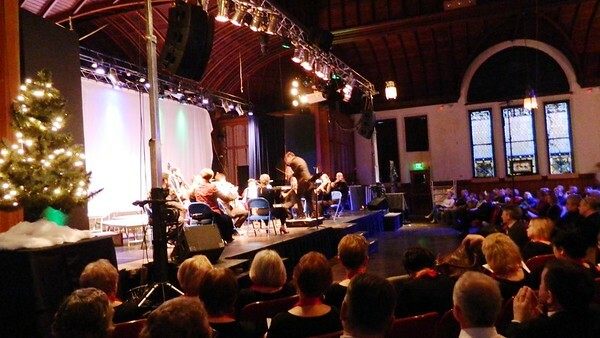 Švedaitė was also reminded of her childhood as she performed solo with the orchestra. As a longtime friend and colleague of Sylveen, she has performed with the Virtuosi dozens of times. Bristol resident Maria Hurczyn brought two friends along with her for the show, which she attends every year. “It’s the holiday season,” Hurczyn said. Admission was free and donations were collected. The Rev. Edward Przygocki and the Rev. Peter Kucer from the Holy Apostle College and Seminary in Cromwell were happy to give. Kucer’s father is a professional musician from Slovakia. “I’ve been surrounded by music and art my whole life,” he said. Erica Drzewiecki can be reached eat 860-801-5097 or edrzewiecki@centralctcommunications.com. Posted in Newington Town Crier, Newington News on Thursday, 20 December 2018 08:24. Updated: Thursday, 20 December 2018 08:26.